When WWE announced the brand split was returning last May, I could not have been more excited. A few months prior to this announcement, I wrote an article explaining that it was time to split the roster again due to the amount of talent WWE had sitting on the bench. Not long after, WWE announced that SmackDown would be rebranded as SmackDown Live, and the show would begin airing every Tuesday night with its own unique roster and storylines. The first episode of SmackDown Live, which aired on July 19th, was the 2016 WWE Draft. Since that moment, SmackDown Live has been must-see television for WWE fans. The SmackDown Live creative team, which is still led by Vince McMahon, has mastered the art of organized chaos. 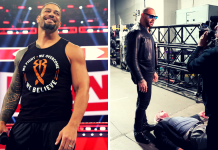 Professional wrestling, at least as a weekly television show, is at it’s best when it’s unpredictable and filled with mayhem. Both Raw and SmackDown Live have done a great job with this as of late. However, the guys and girls who create SmackDown Live have figured out a way to control that mayhem and chaos and make everything flow together in an orderly fashion. That, along with a roster that has far surpassed what many thought it could, has led to some of the best WWE television in over a decade. Following the draft, fans voiced their criticism for the way the roster was split into two halves. Most fans, myself included, believed that the Raw brand got the better end of the deal when it came to the distribution of talent between the shows. While that may have been the case, that didn’t stop the boys and girls in blue from grabbing the brass ring and becoming the superior brand. The SmackDown Live women’s division, which did not have a championship following the draft, has been one of the hottest things going in WWE. After introducing a beautiful new SmackDown Live Women’s Championship, the division took off rather quickly and has not slowed down since. Becky Lynch captured the title first, which was a great move, as she had earned the right to carry the division on her back with her previous work. Soon after, Alexa Bliss began to shine, and she captured the Women’s Championship from Lynch at the TLC pay-per-view event last December. Bliss has been a pleasant surprise. Her work in NXT was not bad, but it was nowhere near the level that it has been since she was drafted to SmackDown Live. She’s a natural heel, excellent on the mic, and has greatly improved in the ring over the last eight months. While Alexa Bliss and Becky Lynch have carried the division, for the most part, the other women have also excelled when given the opportunity. Nikki Bella and Natalya had an impressive Falls Count Anywhere match on an episode of SmackDown Live. Carmella has shined on the microphone and shown flashes of being a main event level heel in the future. Mickie James and Naomi have both spent a great deal of time on WWE television, but their best work may have occurred over the past few months on SmackDown Live. Even Eva Marie, before her suspension, was an entertaining part of the Blue Brand. 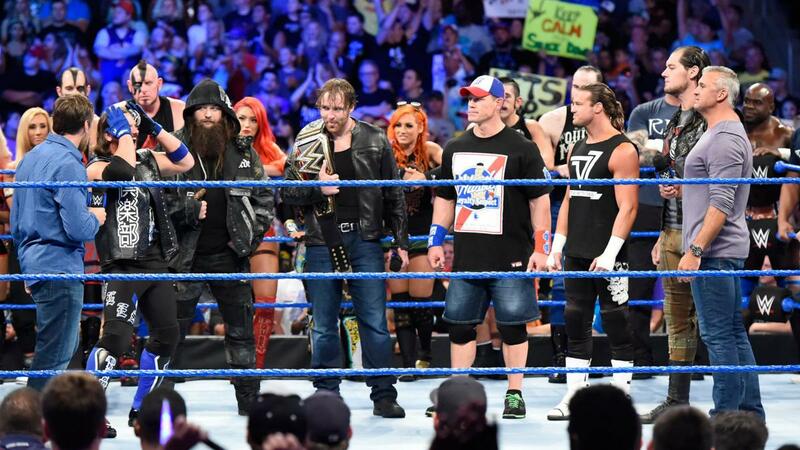 The SmackDown Live tag team division, although not as enjoyable as the women’s division, has also had its moments. Heath Slater, after being one of the bright spots of the summer, teamed up with Rhyno and captured a WWE contract and the SmackDown Live Tag Team Championships. The Usos introduced a new attitude and have been fantastic on screen. American Alpha, a team that set NXT ablaze last year, have also been great when given the opportunity to show what they can do. The biggest issue with the tag team division on Tuesday nights is a lack of opportunity. Teams like Breezango, The Ascension, and The Vaudevillians could all be doing much more, but unfortunately, two hours is not as much television time as you might think. Hopefully, more teams will be given the time needed to showcase their talents in the near future. The main event scene on SmackDown Live has been spectacular. The WWE Championship has felt like the biggest prize in the business, which is a testament to how hard the creative team and talent have been working. 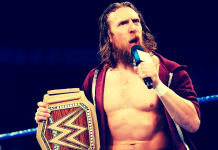 The Intercontinental Championship also belongs in this conversation, because matches like the one Dolph Ziggler and The Miz had at No Mercy were some of the best to occur in a WWE ring last year. AJ Styles has been phenomenal (pun intended) and is a huge reason why SmackDown Live has beaten the breaks off of Raw for over half a year. His rivalry with John Cena is easily one of the best WWE feuds in recent memory, if not ever. Not only is Styles the best professional wrestler in the company, no one can even hold a candle to The Phenomenal One right now. Dean Ambrose has had some great moments; his work since being drafted to SmackDown Live has been severely underrated. Baron Corbin is well on his way to becoming a WWE Champion, and I would not be surprised to see him capture his first title sooner rather than later. Their upcoming Intercontinental Championship match at WrestleMania is one of the bouts I’m looking forward to most, as I believe these two men have what it takes to steal the biggest show of the year. Speaking of championships, Bray Wyatt took his career to new heights when he captured gold for the first time after being drafted to SmackDown Live. His stint with Randy Orton has included both working together to capture the SmackDown Live Tag Team Championships, and battling against each other for the WWE Championship. As far as long-term storytelling is concerned, this may be the best piece of work WWE has done in years. No disrespect to anyone else on the card, but their match at WrestleMania deserves to be the main event and close out the show. When SmackDown Live goes off the air, my television stays on. I flip over to the WWE Network and, after I enjoy watching the cruiserweights brawl it out in 205 Live, wait for Talking Smack to begin. A talk show where characters mix real-life emotions with storyline driven issues is a superb idea, but the execution here is even better. Daniel Bryan and Renee Young lead the show, and their chemistry as cohosts is off the charts. Superstars like Baron Corbin and The Miz have taken the extra mic time and used it to their advantage, creating some memorable moments. The SmackDown Live cast and writers have created an excellent show that brings me back week after week. I can’t wait to tune in and see what crazy shenanigans my favorite WWE Superstars will get into next. Who is going to attack whom backstage? What will Bray Wyatt do next? How will AJ Styles steal the show this time? When it comes to SmackDown Live, WWE always leaves me wanting more, something every great television program should strive to do.